Bronze endures for such a long period of time. I think for that reason, I seem to be drawn to things that are worthy of commemorating in very broad themes and are pertinent to public exhibition. What I find most inspirational are the personal and powerful stories that can be depicted and told. Working on different war memorials in Newfoundland and Labrador during the last 10 years, and meeting so many people who have such strong connections to the Battle of Beaumont-Hamel and the First World War — that’s really where I found the idea for 100 Portraits of the Great War. For this project, 100 descendants of those who served with the Newfoundland contingent during the First World War will have their faces cast. Together, these 100 will form the final creation. A book and film documentary are also being produced to coincide with the piece. Sculptor Morgan MacDonald seeks 100 descendants of those who served with the Newfoundland contingent during the First World War to have their faces cast. How profound is a tragedy that affects us 100 years later? The families who directly experienced and lived through the tragedy of Beaumont- Hamel, they are all but gone. But what is remarkable to me is that their descendants, through the generations since 1916, have continued to carry the weight of sorrow and pride that is associated with their loved one’s service. After the Battle of Beaumont-Hamel, Newfoundland’s participation in the First World War continued and many more lives were lost. And for those that returned, they brought the physical and emotional burdens home with them and eventually to their families. Morgan MacDonald is the founder of the Newfoundland Bronze Foundry. His work can be found across Newfoundland and Labrador, Canada and internationally. Notable among many iconic monuments are the Sealer’s Memorial in Elliston, N.L.,“A Time” on George Street in St. John’s, N.L., and the recently installed Danger Tree sculpture in Corner Brook, N.L. 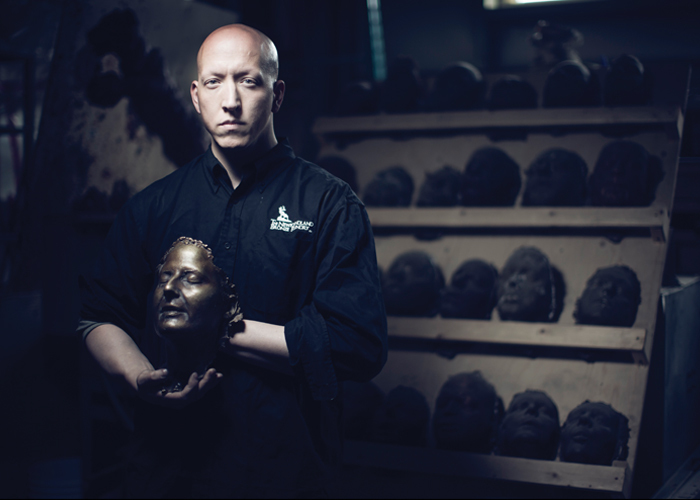 He was introduced to the bronze foundry process as a student at Memorial’s Grenfell Campus and is originally from Corner Brook. In 2016 Mr. MacDonald was named the Alumni Horizon Award recipient for exceptional achievement by a Memorial graduate 35 years of age or younger.